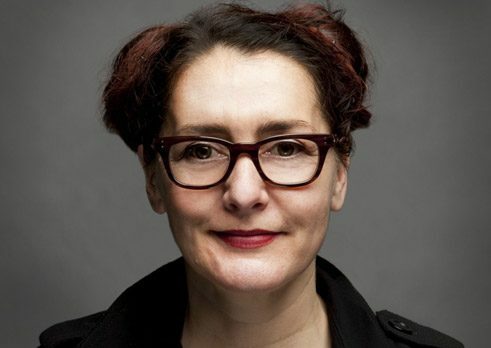 Anke Feuchtenberger is a professor of drawing and media illustration at Hamburg University of Applied Sciences (HAW). Goethe.de talked to her about comic-strip art at German universities. Professor Feuchtenberger, when would you recommend that people with an interest in comics and an artistic bent should embark on a degree at a German art college? I would not recommend it to anyone who hadn’t considered it already themselves. I couldn’t take that responsibility: the comic-strip industry in Germany is still a difficult one if you want to earn a living from it. To draw comics as a sideline, you need to have more strings to your bow – like a job in illustration or graphic design. In Germany, a comic-strip artist is still not really considered to be a profession, and specific training for this profession is not on offer at any university. Even my professorship at the HAW Hamburg is in drawing and illustration. I had to fight to get certain comic-strip themes and assignments included in my courses. These days, however, I do teach a course that is devoted solely to comics. 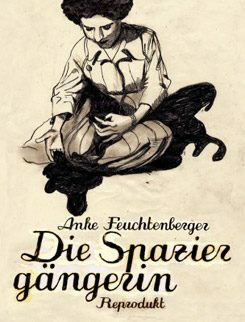 Anke Feuchtenberger: Die Spaziergängerin | © Feuchtenberger/Reprodukt Verlag I also give a master’s course to which students bring their own projects – not all of these involve comics. And I teach an academic course in illustration in which students learn about the earliest beginnings of cartoon illustration and narrative illustration. In it, we draw among other things landscapes, which is also a good foundation for comics, for example with respect to the drawing of rooms. To what extent can one learn to draw comics, and how much natural talent is required? Anyone wishing to draw comics should have at least some basic talent for drawing. Everything else can be learnt. Some students come to me at the beginning of the semester and tell me that they are unable to tell a story. This makes for a difficult start, but I have found that students find their way into narration if they develop a certain lightness in their drawing and do not concentrate too much on what form they initially feel a comic is supposed to take. What is the standing of your university as compared with other universities of art such as in Kassel or Berlin, where comics likewise play an important role? We are not all that far apart. Students who come from Kassel or Berlin tend to have a very good general grounding in graphic art and design. At our university, by contrast, design and illustration are taught separately – which has advantages and disadvantages. My approach involves allowing students to develop freely as artists and acquire a broad range of skills when it comes to translating reality into abstraction. I do not focus primarily on style. I want students to leave it for as long as possible before choosing a particular direction, thus keeping their options open. That is much the same with my colleagues at other universities: if I see a work done by a student of Henning Wagenbreth at the Berlin University of the Arts, for instance, I recognize it immediately. And the same goes for Hendrik Dorgathen from Kassel. I think it is generally the case that students are very much influenced and inspired by their professors. However, I do not teach my own style, and I also do not show my work at the college. I also have many former students whose work looks quite different, from Sascha Hommer and Arne Bellstorf to Line Hoven and Birgit Weyhe. Are you happy to accept students who are interested in the still highly popular manga comics? Among my students there are young women who are interested in manga, which I find extremely fascinating, as I am delighted to include inspiration from the great manga masters. What I feel is important is for students to tackle themes which interest them personally, and for them to find their own style. What is your opinion of private institutions geared to budding comic-strip artists, such as the Design Akademie Berlin or the Comicademy? Unlike many private institutions, we at the art universities are concerned first and foremost with encouraging students to develop a broad repertoire with a very strong personal and artistic focus. It is all about artistic training at the avant-garde level and not primarily about training for the commercial market. That said, we of course want our students to be able to find work once they have graduated. Do your students also learn from you how to earn a living as a comic-strip artist? Yes, that is part of our wider programme of illustration. We also invite people from practical fields – those who work in agencies and deal with marketing – or publishers like Dirk Rehm to talk about how best to present one’s work to a publishing house. In the field of comic-strip art, Hamburg, Berlin and Kassel are probably the leading German universities. What other institutions are there? The Berlin-Weissensee school of art also has a good reputation in this area. Kiel, where Markus Huber teaches, has likewise been producing increasing numbers of people engaged in narrative illustration of late. And Martin tom Dieck teaches in Essen, where I’m sure even more will be happening in the near future. Born in 1963, Anke Feuchtenberger is a professor of drawing and media illustration at Hamburg University of Applied Sciences (HAW). She has published numerous comics, the majority of which have appeared under the Reprodukt label – most recently her collection of short stories entitled “Die Spaziergängerin” (i.e. Woman going for a walk). Lars von Törne conducted the interview. He is an editor at the newspaper “Der Tagesspiegel” in Berlin, where he is responsible among other things for the comic page (www.tagesspiegel.de/comics).